I was really looking forward to reading Wildefire since I heard such good things about it by fellow bloggers whose opinion I trust blindly. However, as much as I adored the writing, I didn't really care for the story even though I believe there was a lot more to it than it was actually shown in the book. Like I said, I loved Knight's writing. Unbelievably funny, witty and sarcastic. But he also has an amazing ability to make every scene from his book seem movie-like, or better yet very TV series like. I don't know if that comes off as an insult but for me it's a huge compliment. Ash is feisty and spunky and I pity those who dare to mess with her, really. She puts everyone in their place, albeit a little too roughly some times at the point of smugness. Her dialogues with Colt all but made up for it, though. As the book progressed, I found myself anxiously waiting for Colt to re-appear and have these steamy conversation with Ash. So characters all in all were pretty much OK. The story on the other hand, I had trouble getting into. I didn't mind what the book was about but I didn't really like the way it was spread out across the book. Nothing really important happens for the most part of it and all the action, which was not much, took place in the end. I don't know what happened there since I believe there was space for so much more information about the characters/Gods and back story. Instead, there were a lot of unnecessary, in my opinion, scenes which didn't move the story forward but rather restrained it. The fact that 5 students of a prep school didn't even bat an eye when a stranger told them they are a gazillion years old and oh yes Gods, didn't help any. At least say something, laugh, scream, cry. Something! Nope. Also, Eve-I'd loved her a lot more if she didn't appear constantly and say the exact same stuff over and over. I was surprised that none of them turned around and said "Lovely. Her again". The ending I didn't expect, I admit it. It kinda caught me off guard, because nothing was happening and then BAM! What the hell? What just happened? 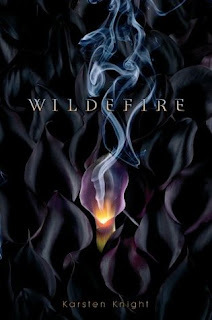 If there is a sequel, I will give the Wildefire series a second chance for sure. I think with his awesome writing skills and a very good, solid and thought-out story, Knight can do wonders! 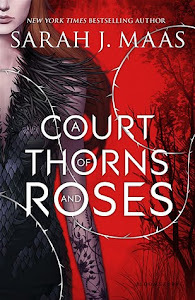 I saw this one on the S&S Galley Grab newsletter, but decided not to get it for some reason. Though the story sounds interesting from the blurb, I can understand why you feel as if this book wasn't as good as it could have been. I've read books before where all the action seems to take place at the end of the book and it sometimes can be a struggle to get to the end, when not much is going on in the meantime. Although I've seen so many great reviews of this book around, it never really appealed to me AT ALL for some reason ... so I'm really glad I read your review before being swayed into buying it by the hype (which ALWAYS happens with me, lol :P), because - from everything you've said - I can tell that it would only have ended up annoying me. @Phanee @Bella : You know it's not half bad. His writing is very now and very sharp, I think you'd love it. Hm as far as the story goes, I really don't know. I would maybe give it a chance, if I were you. Just because I really really like Karsten and his sense of humor. It's not long either, 400pages.